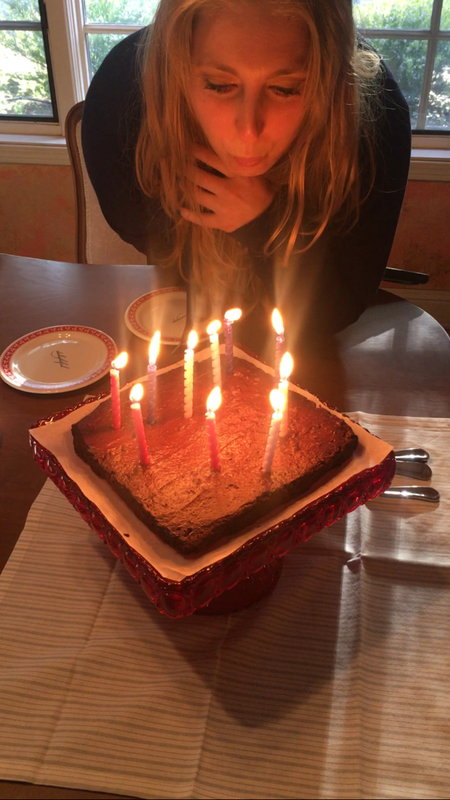 I made a vegan, gluten free, sugar free, oil free, dairy free cake for my birthday and it was amazing. Even meat eaters loved it. 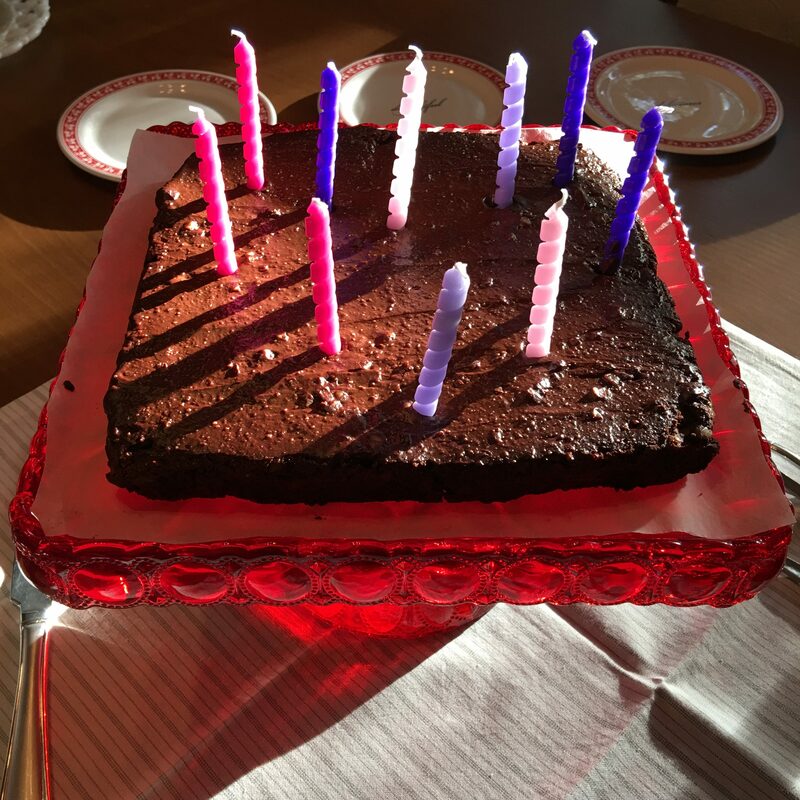 To make the frosting, I used a very small amount of stevia extract powder (the only ingredient in the product I used is “organic stevia extract (stevia rebaudiana) (leaf).”). I cooled the cake overnight in the fridge. I made the frosting and frosted the cake shortly before serving. I cut the cake into 9 pieces. Line a 9 inch square baking pan with aluminum foil. Mix together cocoa powder and tigernut flour in a mixing bowl. Add sweet potato to the dry mixture and combine well, mashing sweet potato. The end result should be a smooth batter with no chunks of potato. Add cinnamon, vanilla, baking soda, walnuts, chia seeds, and almond milk to the batter. Combine well. Pour batter into foil-lined baking pan. Allow cake to cool before frosting it. I cooled mine overnight. To make the frosting, mix the almond butter with the cocoa powder. Add water as necessary to form a spreadable paste. 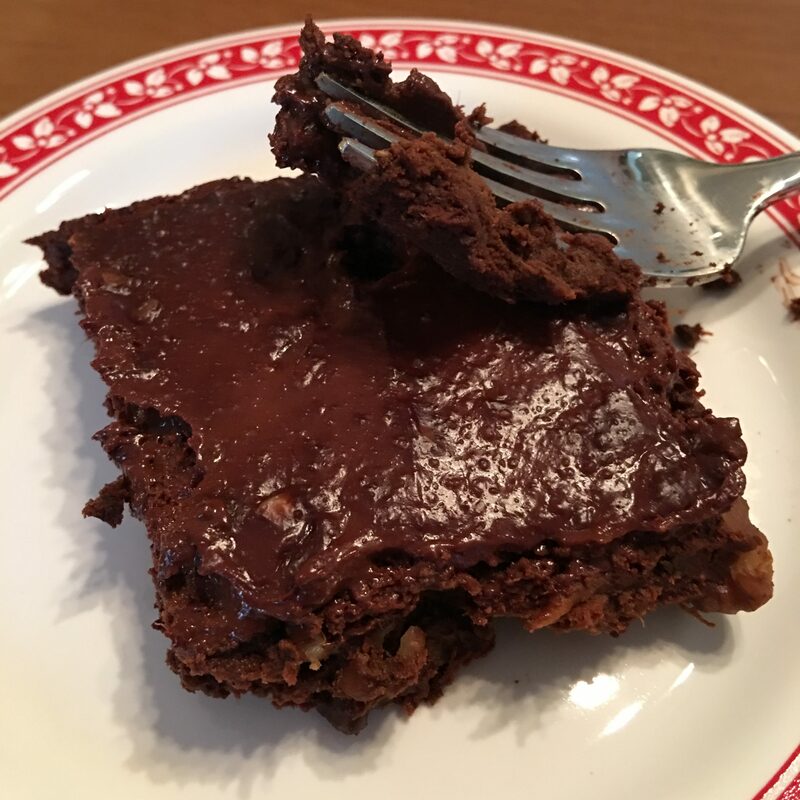 This entry was posted in chocolate, cinnamon, Dessert, Vegan, vegetarian. Bookmark the permalink.